Getting to know all the advantages of rabbits and its industry in the Philippines. Although Rabbits have long been part of many Philippine households, the lingering reluctance and perceived taboo on eating rabbit meat is the greatest hindrance to widespread rabbit production. Filipinos have forgotten that rabbits were brought to the country after World War II by the US Peace Corps and some religious missionaries to help alleviate the problem of food scarcity brought about by the devastation of war. Instead, rabbits have come to be cared for as pets instead of being produced as meat sources. The 1st Rabbit Festival was held in May 2016 at the Quezon City Memorial Circle. RABBITS FOR MEAT AND PROFIT – Rabbit production can be extremely profitable if managed properly. 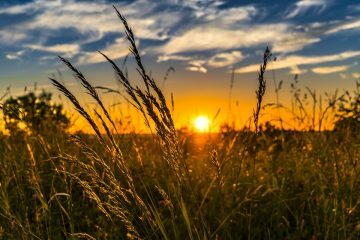 It requires little space and can be done on a farm, in one’s backyard, or even in a small space at home. They are very gentle and quiet animals and will not be a nuisance to people. They can be cared for by women and even children. Rabbits are also easy and affordable to feed and do not compete for grains with humans. They have a high production capacity; medium-sized breeds that are ideal for meat production can be bred at 6 months old with a gestation period of only 28-32 days. Rabbit meat was listed by the USDA to be among the healthiest meats available to man; it is low in fat, bad cholesterol, and calories while having high protein levels. In addition, rabbits are multipurpose animals and can be cared for as pets, and used as laboratory and experimental animals. Their fur has long been used in garments and furniture. The rabbit’s foot was considered a good luck charm for centuries, and even rabbit manure and urine are used as fertilizer. 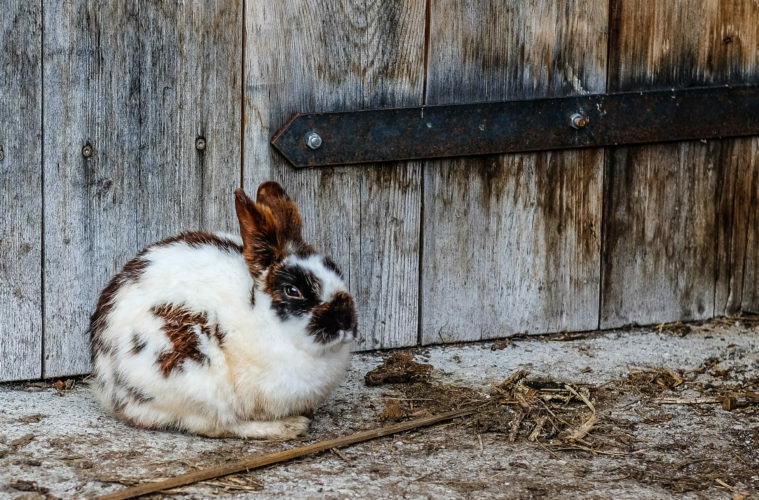 One organization aims to hurdle these cultural and other constraints so that rabbit can be recognized as an important low-cost answer to the problems of hunger, malnutrition, and poverty. Rabbit production potential needs to be tapped and promoted, since it can provide protein and income to both rural and urban households with a minimal investment. There were also seminars on production, health care and management, breeding and selection, animal welfare and other rabbit concerns. GETTING THE GOVERNMENT INVOLVED – The Association of Rabbit Meat Producers (ARaMP), Inc. recently called on Dr. Enrique P. Garzon, Jr., the Department of Agriculture (DA) Assistant Secretary for Livestock and concurrent Director of the Bureau of Animal Industry, to present an overview of the current situation of the rabbit industry in the Philippines. The association hopes to consolidate the gains it has achieved since its registration in August 2015 and apprised Dr. Garzon of those milestones. It also sought support, calling for government participation in industry-related activities for its promotion and development. In its paper entitled “Overview of the Rabbit Industry in the Philippines,” ARaMP, Inc. discussed the purposes for the formation of the association: to establish an organization that will promote the development of the rabbit Industry in the Philippines; to advocate [the] raising [of] rabbits as an alternative meat [source] to [help] improve [the diets and nutrition] of…Filipinos; to introduce and propagate rabbit farming as an additional source of income [for] farmers and [their] communities; and to strive for [the] adoption of [legislation], policies and other measures that will promote the rabbit industry as well as…the economic, social and general wellbeing of all [its] members. 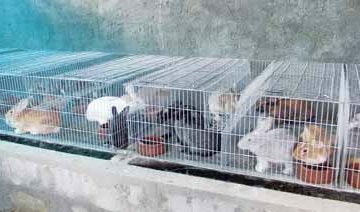 ARaMP called on the DA to place more importance on rabbit production, adding that it must be part of the Philippines’ agricultural programs. 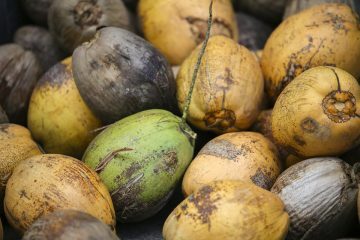 The association asked that the industry be given the necessary boost for it to be able to play its role in the improvement of the country’s food sufficiency and become a source of needed additional revenue for rural and urban households. ARaMP’s goals are to fill a niche and address the need for support of rabbit raisers advocating rabbit production for human consumption. It has undertaken awareness campaigns to overcome cultural and other restraints that limit the consumption of rabbit meat. 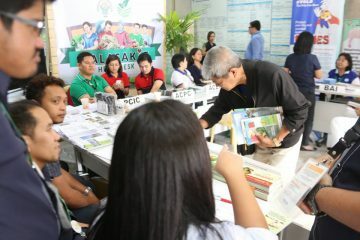 The activities it has undertaken to achieve these goals include the 1st Rabbit Festival at the Quezon City Memorial Circle in 2016, with the theme, “Rabbit Meat – Healthy To Eat.” Featuring seminars on rabbit production, care, and welfare as well as rabbit meat processing, these were conducted free to the public; quite a few participants came from other parts of the country. Rabbit cooking demonstrations and a rabbit meat food tasting were the highlights of the event. The well-attended seminars, increase in member registration, and brisk sales of rabbit breeders showed that there is much interest in rabbit production. Interested would-be rabbit raisers also came to one-on-one consultations with ARaMP, Inc. members. AraMP, Inc. is well aware that the purposes of the association can only be achieved through consolidated efforts and cooperation among its members. It is also aware of the fact that it needs the help and support of the government in order to succeed; thus, the organization is grateful that the Bureau of Animal Industry (BAI) is receptive and has been supportive of the association. It was a guest at the 2016 BAI Anniversary Celebration, during which the organization’s officers were inducted and its president, Art Veneracion Jr., was asked to deliver a short talk. Seminars on rabbit production were also held at the BAI seminar hall. 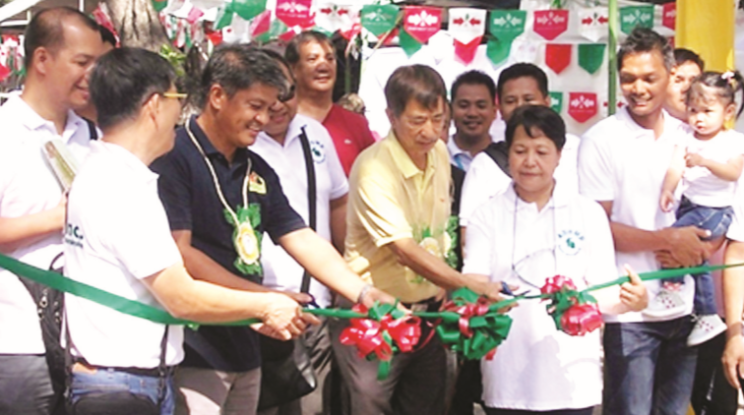 During the 1st Rabbit Festival, the BAI, through the National Swine and Poultry Research and Development Center (NSPRDC), dispersed initial stocks of purebred rabbits to ARaMP, Inc. with the purpose of upgrading local rabbit breeds. 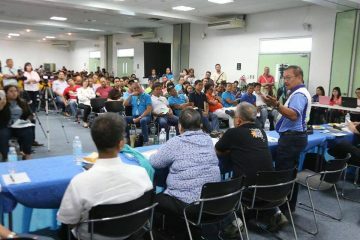 The organization cooperates with the government to address the need for continuing education among its members; seminars on rabbit breeding and selection, forage management, and rabbit meat processing were conducted by resource persons from the BAI for its members, who are expected to share this information with those who inquire about rabbit raising. The Department of Agriculture Region 3 also conducted seminars on good animal husbandry practices and animal welfare for members. There is a noticeable increase in the demand for rabbits, which has motivated the organization’s members to undertake expansion initiatives. Anticipating an increased production of rabbits by 2017, ARaMP, Inc. is now looking into the formation of a cooperative. As the organization is aware of the fact that not all rabbit raisers can butcher and process their produce, the cooperative should be able to absorb the production of members for processing and marketing. Facilities needed to process and market rabbit meat conforming to high sanitary standards must be prepared. 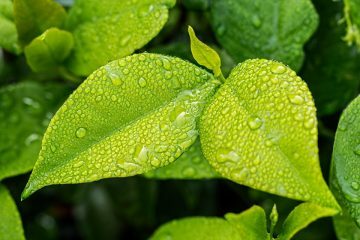 Other byproducts like rabbit leather should also be developed. ARaMP, Inc. pledged that it will continue to work for the establishment of a recognized rabbit industry and expressed its hope that the government will recognize rabbit production as a vital economic activity that can contribute to the nation’s growth. Good day i am Mr. James Tevar owner of ravet rabbitry. We have started a small rabbitry farm here in davao. I would like to know more about this endeavor if it is relly viable. I am very interested to attend seminars regarding rabbits. I have already ask bai davao but to no avail. Maybe your org. Can point me to the right direction. I would be very thankful. Hello i am Australian and looking to set up an export works with full processing and slaughter facilities. I will be in manila in early may to meet a man that may put me in the right direction. I have an export lead already for some 28 tons of sterilized rabbit meat. so we will see if my project can take hold. I’m planning to put up a rabbitry in our idle land in masinloc, zambales. And i’m looking to learn thru seminars from right person/organization before I start into full scale rabbit farming. Looking for prospect business partners in the future as well.